This is a Blue Thunderbird wire wheel center cap. 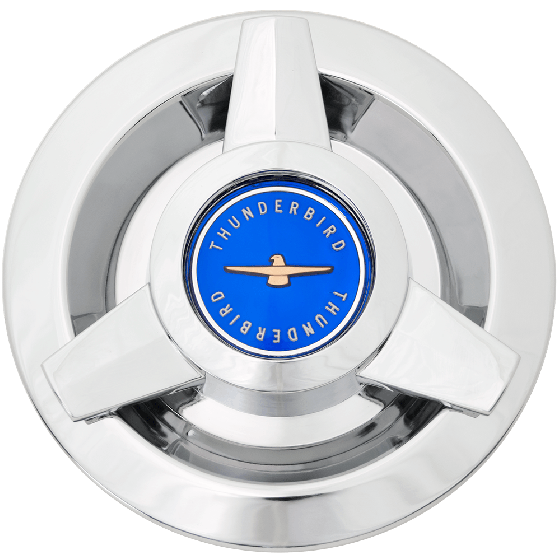 This Thunderbird Hubcap has a three bar knockoff style design. 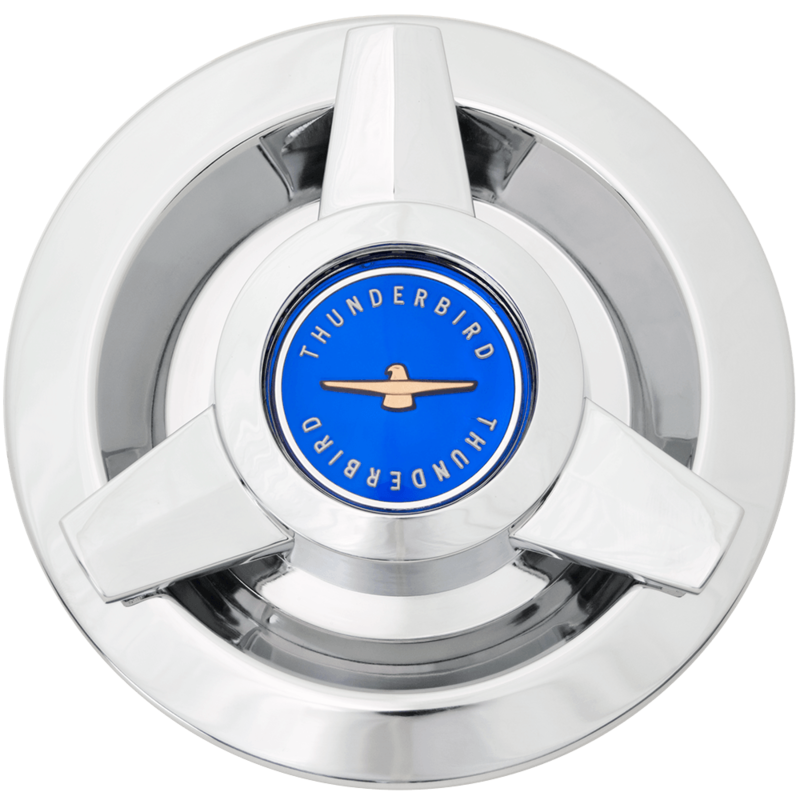 Thunderbird wire cap with Blue center fits our Thunderbird wire wheels, all sizes. Please check your actual wheels required cap fitment size. Is this center cap metal, plastic or other? Our T-Bird Wire spinner caps are made of metal.